Katie is an Associate Solicitor at CFG Law, having joined the team in 2017. She has over 9 years’ experience dealing with clients who have suffered head, spinal and complex orthopaedic injuries after an accident. 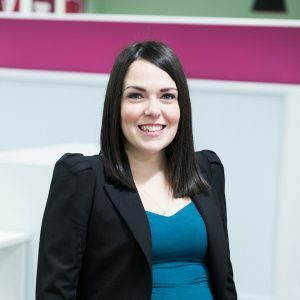 Katie believes it is important to be approachable and supportive of her clients, whilst setting out a clear, straightforward approach to what is needed in their case. Katie has an impressible enthusiasm for solving any problems clients may have. She understands that a random event can quickly change the course of a persons’ life, resulting in great stress and uncertainty. She works with case managers and rehabilitation specialists to put in place support networks and treatment at an early stage to help ease the burden of day to day life and achieve the best results for clients. Adopting a positive approach when supporting clients and their families through the complexities of the litigation process. Providing a client-focused approach to cases. Applying tactical thinking to achieve the best outcomes. Supporting injured people and their families to restore their quality of life after a serious injury. Working in a friendly and supportive environment where everyone comes together to help one another and our clients. Working in a team that takes a forward-thinking approach to rehabilitation and client care. Working with case managers and rehabilitation specialists on new approaches/treatments to achieve optimum rehabilitation outcomes for clients. Supporting families whose loved ones have been fatally injured through the inquest and litigation process. Travel, fitness and family time.